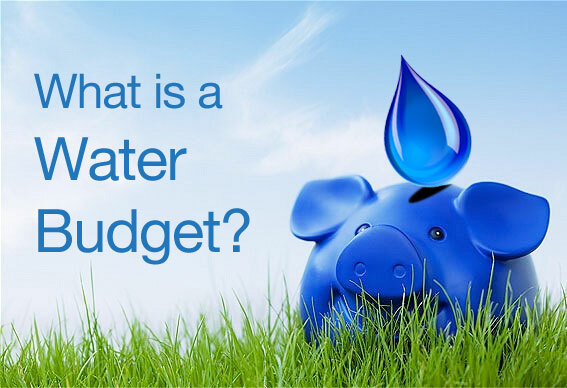 In 2012, the Regional District of Nanaimo (RDN) initiated the Water Budget project to better understand the sustainable availability of water. The project consists of two phases: Phase 1, which includes development of hydrogeological conceptual models and water budgets, and Phase 2, which will include a more detailed analysis, such as groundwater numerical modeling based on the results of Phase 1. This report presents results of Phase 1 for the Regional District’s Electoral Area B, which encompasses Gabriola, Mudge and DeCourcy islands. Most of the study area relies on groundwater as its primary source of drinking and irrigation water. On Gabriola Island, groundwater in the fractured rock aquifers is recharged from rainwater and, in light of increased development and climate change, there are concerns about the groundwater resources and its sustainability and quality: a view shared by many of the islands’ residents. Several water resource studies concerning the islands have been completed to date. Phase 1 seeks to improve the understanding of regional water resources and in particular, provide better descriptions of the water cycle, available water quantity, the flow system and water demand, and factors affecting sustainability. 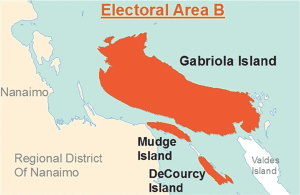 To update and review the existing hydrogeological information to improve the understanding of the groundwater system on Gabriola Island and nearby islands and to link all available information within one updated conceptual model, and develop a 3D representation of the geological and hydrogeological system. To develop a water budget as a first step in understanding current groundwater and surface water utilization, as well as sustainable extraction. To assess groundwater extraction “stress” on aquifers. 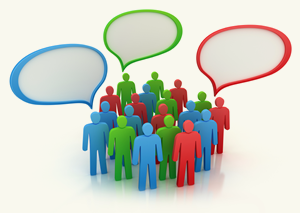 To identify data gaps or additional requirements that can be used to improve the RDN’s plans for expansion of the long term groundwater observation well network. 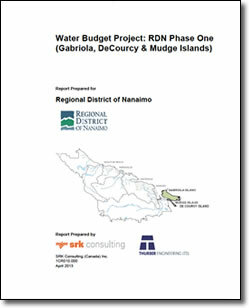 This main report provides overview of the hydrogeology of Gabriola, Mudge & DeCourcy Islands (Electoral Area B and RDN Water Region 7), water budget methods and results. In addition to this report, the Agriculture Water Demand Model helps us better understand the amount of water required for agriculture, now and into the future. Detailed technical graphs and maps are included in the Appendices and links – see PDF downloads marked .